With the input of the IFLA copyright and other legal matters committee and network, we have compiled an inventory of recent and ongoing reforms that affect libraries and their services around the world. Following part 1, part 2 will identify topics that seem to be gaining importance in copyright reforms, and the approach that countries are adopting. It will be posted shortly. Kenya – The Copyright Amendment Bill was introduced in 2017. It contains provisions towards the implementation of the Marrakesh Treaty, provisions on the regulation of CMOs, fair dealing for the purposes of scientific research, private use, criticism or review of the reporting of current events, quotation, incidental inclusions, and an exception for the reproduction of works in libraries and archives, among others. Lesotho – There is a copyright law review that will most likely implement the Marrakesh Treaty. South Africa – There is a wide-ranging copyright reform going on. There is perhaps room for fair use to be included, and there are currently some good provisions in the bill: implementation of the Marrakesh Treaty, no copyright for official or legal texts, limitations on liability for librarians, a major expansion of fair dealing, a course-pack exception for illustration for teaching, and exceptions for parallel importation, e-lending, digital document supply, exhibition rights, and orphan works and out of commerce works. Discussions are expected to continue in March 2018. Zimbabwe – Parliament ratified the Marrakesh Treaty in January 2018. Australia – The copyright amendment on disabilities and other measures came into effect (most of the amendments) in December 2017. A new set of regulations also came into effect in December, which includes new exceptions for text and data mining for all library and archives uses, except for the flexible dealing exception in s200AB of the Act. Also in December 2017, the Australian government introduced the Copyright Amendment (Service Providers) Bill 2017. The government will soon release a discussion paper that is likely to include: consultation on how best to inject more flexibility into copyright law; consultation on what kind of orphan works scheme should be adopted; consultation on whether to enact that Productivity Commission’s recommendation to amend the Copyright Act to prevent contract overriding copyright exceptions (source). The government has also just announced that they will be running an inquiry into online infringement in the first half of the year, focusing on the impact of services like Netflix on piracy in Australia. China – a law on public libraries, which includes cultural rights, was passed in 2017. Myanmar – Draft law was published in 2015. Singapore – There was a first public consultation in October 2016 with 16 proposals, including an expiry date for copyright protection of unpublished works, use of orphan works, educational exceptions to reflect digital education, facilitating the work of libraries and archives, museums and galleries, provisions for print-disabled users, among others. A second consultation took place in May 2017. We await draft legislation. Taiwan – In October 2017, the executive passed a draft amendment to the Copyright Act. It contains provisions on compulsory licensing for copyright works of rights holders for orphan works and fair use for distance education and digital archives. Japan – The Copyright protection term has been extended from 50 to 70 years. EU Copyright in the Digital Single Market – discussions around the proposal for a Directive in the Digital Single Market are still ongoing, with an expectation for the Parliament to vote in March 2018, and the Council of Ministers later on. The Directive contains exceptions on the topic of text and data mining, illustration for teaching, preservation and out of commerce works, and offers an opportunity for other topics to be included, such as e-lending (specially following the CJEU decision C-174/15 that interpreted that lending included the lending of digital works). Once it becomes law, member states will have to transpose it to their national legislation. EU Directive and Regulation on Marrakesh – The EU Directive and Regulation entered into force, and once the instrument of ratification is deposited in WIPO, the treaty will be ratified by 28 more member states. EU member states need to implement the Directive into their national law before 11 October 2018. Armenia – The new draft copyright law, published in 2017, is expected to be completed by the end of 2018. Estonia – Potentially broad reforms on hold, waiting for EU legislation to pass. Germany – The German copyright reform will come into force in March 2018. Among other things, the “small parts” of work that could be used has now been replaced by 15%, and 75% for personal scientific research; libraries, archives, museums and educational establishments shall reproduce works from their collections or exhibitions for non-commercial purposes; the German National Library shall be allowed to archive all cost-free online content that is not permanently accessible online; there is a new exception for text and data mining. Ireland – A draft bill has been proposed. Among other things, the bill is likely to contain provisions that “allow libraries, archives and educational institutions to make copies of work in their collections for the purposes of preservation and inclusion in catalogues for exhibitions; extend existing copyright exemptions to: (i) promote not for profit research, including by introducing a text and data mining exception; (ii) widen the scope of the fair dealing exemption in the context of news reporting; and (iii) allow the creation of a voluntary digital deposit of books” (source). Moldova – There are plans to ratify the Marrakesh Treaty soon (announcement). Spain – There is an ongoing reform that aims at implementing the EU Directive on Marrakesh and the EU Directive on collective management of copyright. Sweden – There was a public consultation period that closed January 8, 2018, with regards (among others?) to the transposition of the Marrakesh Directive. The government is preparing the new bill to be presented April 24, 2018. 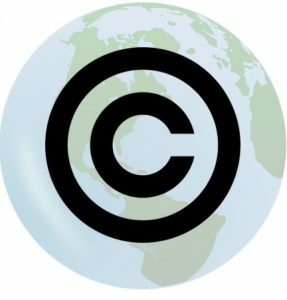 Switzerland – The copyright working group reached an agreement in various issues related to the modernisation of copyright law in March 2017. It is now under exam by the chambres fédérales. The bill should contain provisions with regards to orphan works, cataloguing, extended collective licensing, secondary right of publication, and implement the Beijing and the Marrakesh treaties. The Netherlands – there has been a consultation on the EU Marrakesh Directive in view of transposition. Argentina – A public consultation process was open in March 2017 to reform the copyright law. There are broad proposals, including on reprographics, preservation, document supply and Marrakesh. Colombia – The Colombian copyright reform touches on several topics: TPMs and exceptions on liability, temporary reproductions through electronic means, public lending, dedicated terminals, illustration for teaching, inter-library loan, orphan works and implementation of the Marrakesh Treaty, among others. Uruguay – The copyright bill of May 2016 contains several exceptions: for the communication to the public, distribution, interpretation, execution, translation or adaptation of works by educational and research institutions; for reproductions of short extracts of works by educational institutions; for the reproduction of works for an analysis through computer means; for reproductions for preservations or to replace a work by cultural heritage institutions; for the public lending of works, exception for translations by cultural heritage institutions; and for the use of orphan works. Canada – The Canadian government launched a copyright review in December 2017. There will most likely be discussions on fair dealing and on the so-called “value gap”. EU-Mercosur – The EU is currently negotiating a trade agreement with the four founding members of Mercosur (Argentina, Brazil, Paraguay, and Uruguay). The first negotiation round took place on 11 May 2016, followed by a negotiation round in October 2016. The chapter on intellectual property rights contains some worrying provisions: art. 4.7 sets the term of protection of a literary or artistic work in death+70 years (some of the parties have a shorter term), and art. 4.11 mandates the provision of adequate legal protection against the circumvention of TPMs. There is very little reference to exceptions and limitations (art. 4.10, which only adds temporary reproductions which are part of technological processes). A later version was leaked by Greenpeace. It contains some slight changes on the topic of exceptions and limitations. has a list of mandatory exceptions and limitations (art. 9.9.1): criticism, comment, news reporting, teaching, research, and facilitating access to published works for persons who are blind, visually impaired or otherwise print disabled, and a provision recognising their cross-border effect (9.9.2), both proposals by the Mercosur countries. North American Free Trade Agreement (NAFTA) – Agreement signed by Mexico, Canada and the United States that is currently under revision. The Comprehensive and Progressive Agreement for Trans-Pacific Partnership (CPTPP or TPP11) – The CPTPP is based on the Trans Pacific Partnership (TPP), signed in February 2016, that never made it into force following withdrawal of the United States. The countries involved are Japan, Australia, Peru, Malaysia, Vietnam, New Zealand, Chile, Singapore, Canada, Mexico, and Brunei Darussalam. The CPTPP includes many of the elements that were negotiated as part of TPP but does not contain the TPP’s copyright chapter (so no copyright provisions). Regional Comprehensive Economic Partnership (RCEP) – Free trade agreement between the ten member states of the Association of Southeast Asian Nations – ASEAN (Brunei, Cambodia, Indonesia, Laos, Malaysia, Myanmar, the Philippines, Singapore, Thailand, Vietnam) and the six states with which ASEAN has existing free trade agreements (Australia, China, India, Japan, South Korea and New Zealand). It is expected to be signed in November 2018. The chapter on intellectual property has been strongly criticised. It only contains a provision on exceptions and limitations similar to the three-step-test, a provision forbidding the circumvention of TPMs, and a provision on the transparency and accountability of CMOs, among a few others. Economic Partnership Agreement (EPA) – Agreement between the EU and Japan that was finalized on December 2017. *The information listed comes from the linked sources, and from the input provided by the experts of the IFLA copyright and other legal matters advisory committee and network. If readers spot any mistakes or missing information, please contact us and we will make the necessary changes. We strongly welcome input from readers. Feel free to use the comments tool, or to write an email to ariadna.matas@ifla.org or stephen.wyber@ifla.org. Thank you!